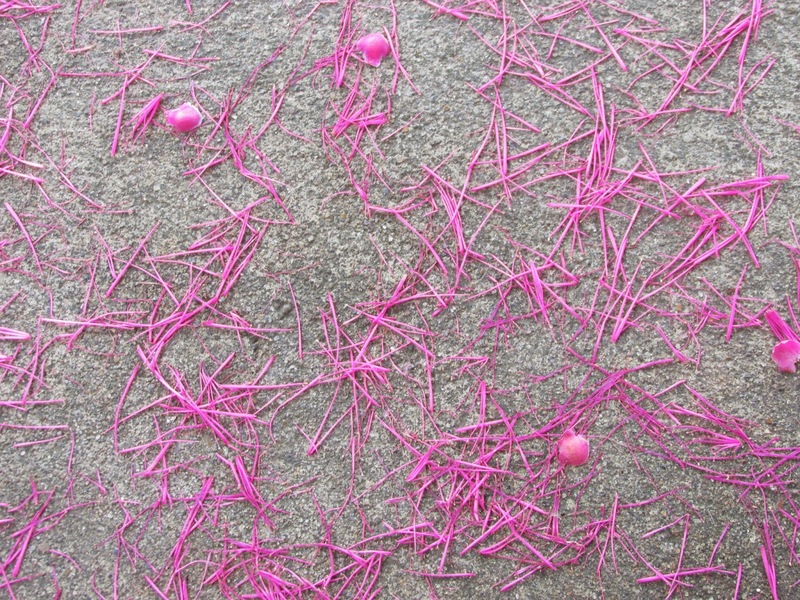 The sidewalk in front of the new office is dusted with delicate pink petals. Standing in the street you can't even see the flowers that shed them hidden in the pair of green lollipop trees that frame the porch. The petals almost match the walls of the house. Finding space to live and work in Barranca has been a bit of a dance the last couple years with the landlords wanting one building back for family and that precipitating the search for another space that is close, secure, and big enough to handle needs. The new office is right across the street from the main Christian Peacemaker Team (CPT) residence. Way better than last year's cramped little bodega. My first week has been meetings, getting to know several new fulltime members, and fixing things around the house. The team makes a point of having a repair list for Felipe. I enjoy that, but I miss having my own tools. I'm making a point of avoiding the TV in favor of reading in my spare time. It feels decadent to allow myself a weekend of reading without my Ohio to do list of home and church responsibilities. The first book was fantastic, and the odd connections between it and my life are too spooky not to recount. The novel was The Book Thief, a recent best seller about a foster daughter living outside of Munich, Germany from the late 1930s to the end of WWII. It is a heart-wrenching look at the war and it's affect on the lower class German society. There were three moments that struck me as eerily connected to my own life. First was that fact that Liesel was traumatized by her abandonment to the foster agency. The week prior to coming down I was talking to the parents of an adopted young man in my life who is struggling to understand why his birth mother would give him up. Liesel's grief seemed especially personal and painful. The second connection was Hitler's book, Mein Kampf, which takes on almost the role of a character in the novel as it saves the life of a Jew who is reading it for hours on a train trying to avoid suspicion and arrest. Later, in hiding, that man rips the pages out of the book, paints them white, and uses them to write another story. 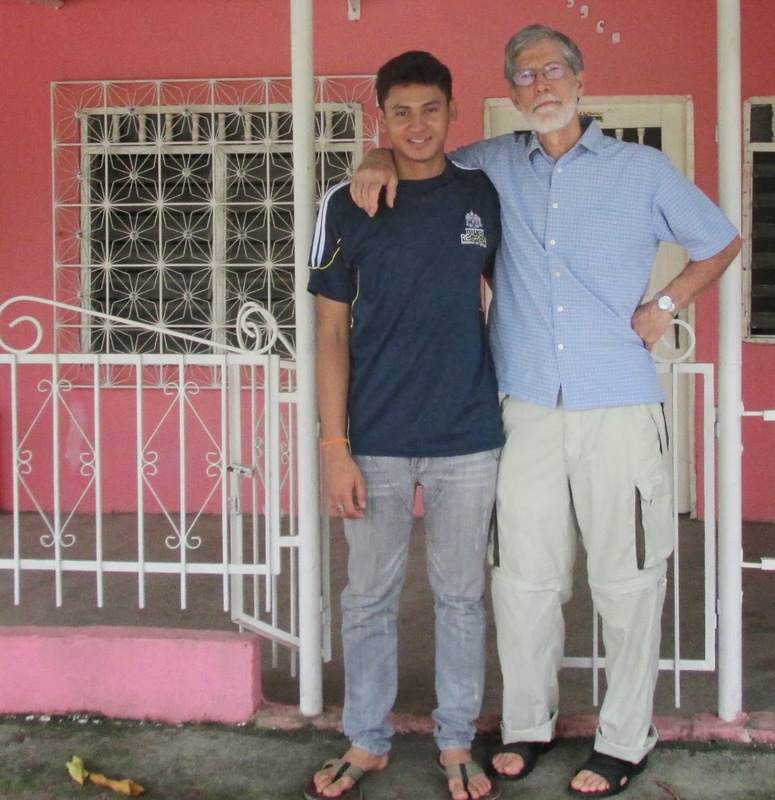 So I was stunned when our young Colombian intern, Jhon Henry, walked into my room with Mein Kampf tucked under his arm. He is currently reading it in an effort to understand how people's minds could have been swayed to such extremes of hate. Third is a description of the summer of 1942 and thirteen-year-old Liesel helping her father to paint black the blinds of windows in the neighborhood to hide them from expected Allied bombers. It dawned on me as I read that section that my mother was almost exactly Liesel's age and that very same summer was sitting in front of thirty-some beehives on the edge of town. Watching for swarms. Sugar was being rationed and honey was extremely valuable. She would follow a swarm to where it settled and then run to the tool factory a few blocks away. There she knocked on the window where the hive owner was working. He had permission from the company to shut down his machine and capture the swarm. I have always loved that story. Connecting it to Liesel's story was special. Reading is good...your latest CD is wonderful, stimulating, awesome. We send our love for all your new projects and learnings during this tour. Love the post. Yes, I think it is just as important to understand a horrible text like Mein Kampf as some great books. Sounds like John is a smart fella. Great writing, Phil.